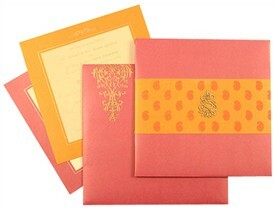 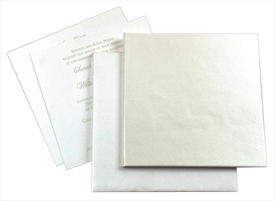 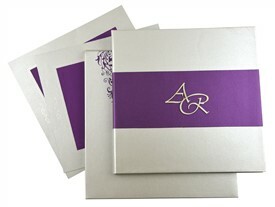 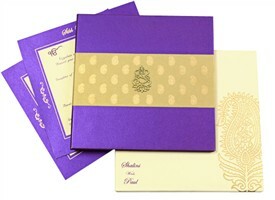 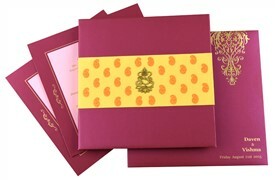 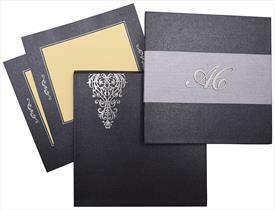 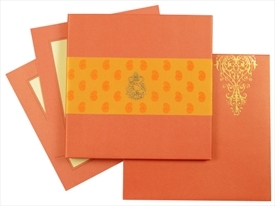 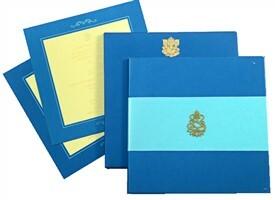 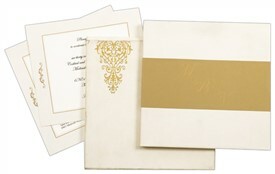 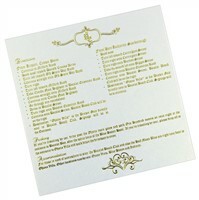 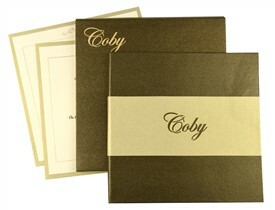 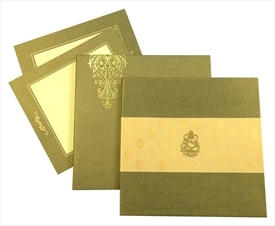 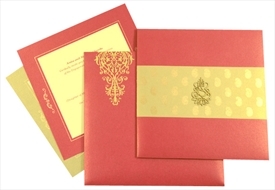 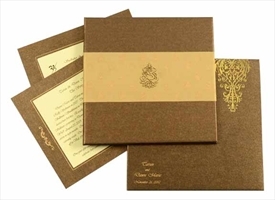 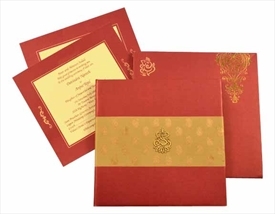 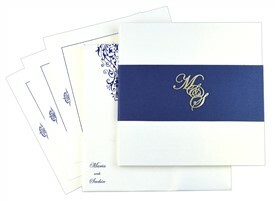 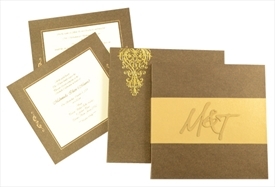 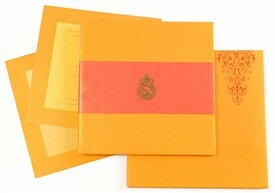 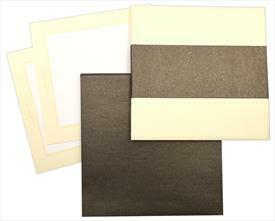 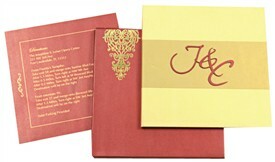 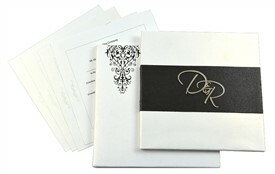 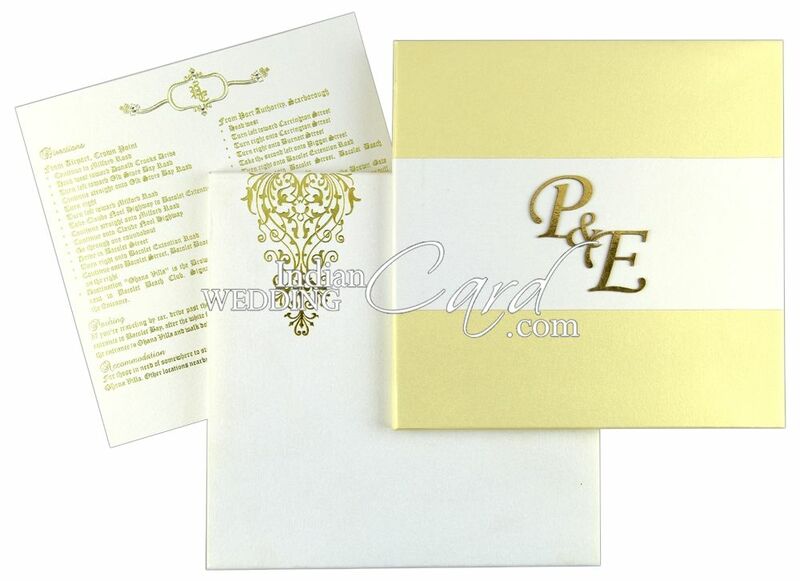 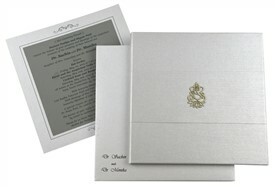 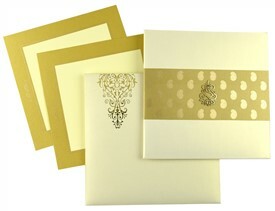 D-6672, Gold Color, Shimmery Finish Paper, Designer Multifaith Invitations. 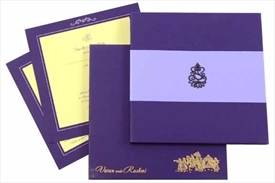 Silk Screen Printing in color matching to main card. 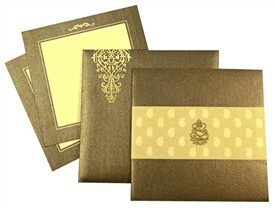 Gold Hot foil printing possible at extra cost.